Summer Hits: Martian Water, Asteroid Nukes, Orbital Antimatter! 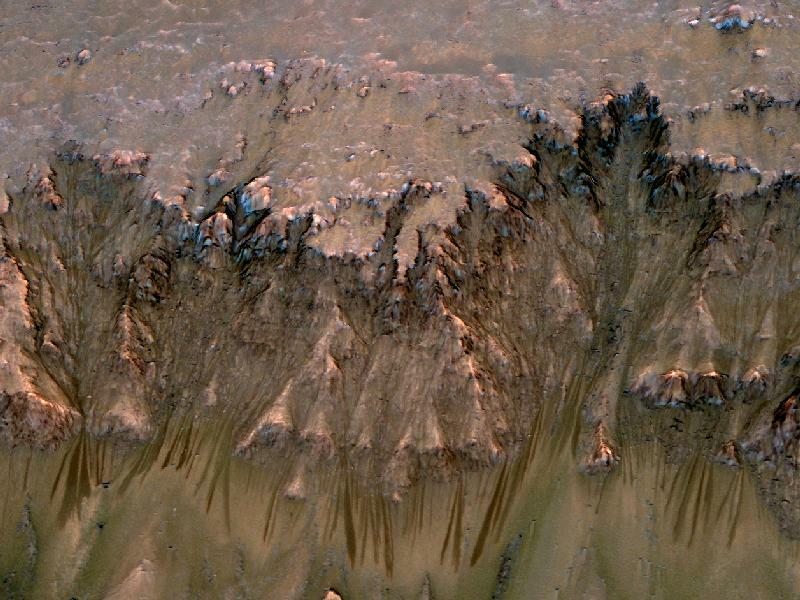 In an utterly tantalizing development, scientists analyzing imagery from the Mars Reconnaissance Orbiter (MRO) have announced what appears for all the world to be direct evidence of water on Mars! Because the MRO has been orbiting the Red Planet since 2006, it has been able to view the same portions of the world at different times of year with an eye toward spotting any potential seasonal changes. This past August, the MRO team reviewing this growing dataset hit paydirt. Specifically, the team identified dark streaks on the slopes of steep terrain in the southern hemisphere that are found during Martian spring and summer; these features disappear during Martian winter only to return once again the following spring. While there are multiple possible explanations, the most likely amongst them appears to be the flow of briny (salty) groundwater that warms in the hotter months, breaches the surface, and evaporates/sublimates as it flows downhill. Time will tell on this one, but all eyes should be on the possibility of subsurface briny Martian aquifers! 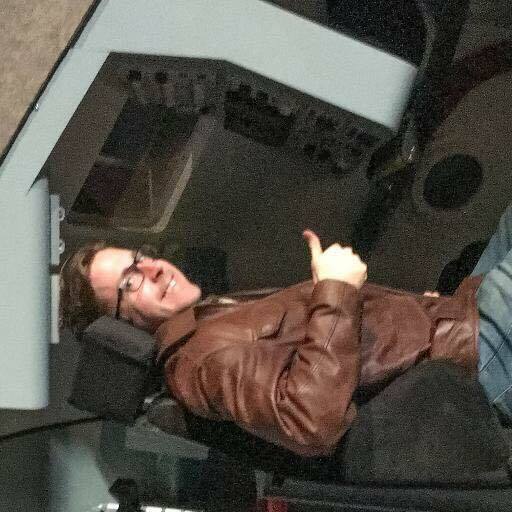 This past August, Russian scientists took a note from Hollywood and seriously proposed the use of nuclear weapons as a means of asteroid mitigation. Under the scenario, a dual-spacecraft architecture would be employed, with one spacecraft, called “Trap,” ferrying a nuclear warhead to the target while a second spacecraft, “Kaissa,” (apparently and intriguingly named after the mythical goddess of chess,) analyzes the target asteroid’s composition to determine the appropriate warhead use scenario (deflection vs. break-up). The spacecraft would be lofted by a Soyuz-2 rocket and/or Russia’s upcoming Rus-M rocket. 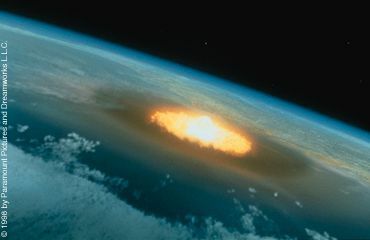 While much contemporary research casts doubt on the ultimate effectiveness of a nuclear detonation in such a context, the proposers stressed that the technique would only be used on approaching objects up to 600 yards in diameter. Also this past August, researchers published a stunning (but in retrospect, sensible) discovery in Astrophysical Journal Letters: Earth possess a natural orbiting belt of concentrated antiprotons. Succinctly, the interactions of high-energy cosmic radiation with the Earth’s atmosphere can produce infinitesimal and ordinarily short-lived bursts of antimatter. These antiparticles normally react with standard matter present around the Earth and annihilate. However, in the near-vacuum of space beyond the bulk of the Earth’s atmosphere, some of these antimatter particles are spared immediate destruction. 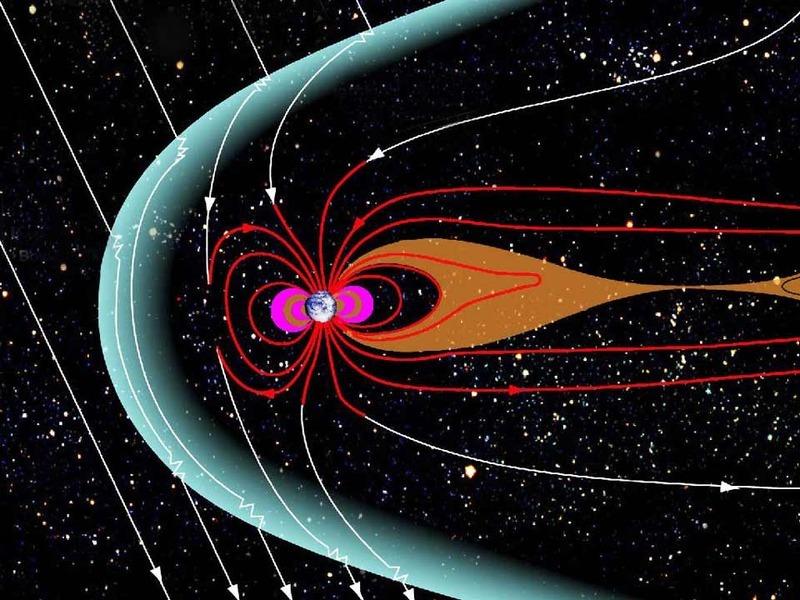 Many of these antiprotons are then herded by the Earth’s magnetic field into bands or belts, which were recently discovered by the antimatter-hunting satellite PAMELA. Aside from the “gee-whiz” factor, there are certain technical and economic reasons to get excited about the finding. For starters, the energy density of antiprotons is on the order of a billion times greater than conventional chemical batteries. However, at a current production cost on Earth of nearly $63 trillion per gram, antiprotons are a bit hard to come by and even less practical to use for anything other than research; Identifying a natural reservoir such as, say, a naturally-produced orbiting belt could open up additional avenues of use for antimatter as well as be immensely lucrative… if only one could solve the lightning-in-a-bottle problem of antimatter storage. In any case, this is definitely something to keep an eye on. For the less techno-jargon-inclined, news reports on the find may be found from the BBC as well as Science Magazine.